Shingles usually affects a specific area on either the left or right side of the body and does not cross over the midline of the body (an imaginary line running from between your eyes down past the belly button). It causes a painful rash which develops into itchy blisters. Your licensed health practitioner can diagnose shingles based on your symptoms and the appearance of the rash. Typically, three to four days before skin outbreaks occur, symptoms of fatigue, fever, chills, and, sometimes, gastrointestinal upset, start to manifest, followed by the affected area of the skin becoming sensitive to touch. Then small, crusty, painful blisters erupt along a nerve path so that the reddened outbreak affects a strip of skin, forming a line. This most commonly occurs over the ribs in the thoracic area and is usually limited to one side of the body. In rare cases, shingles can also affect the lower part of the body or the face. During shingles outbreaks the pain can be severe, but the eruptions usually heal within five days without further complications. In some people, however, especially the elderly, pain can last for months and even years, and be recurring. An episode of shingles usually lasts two to four weeks. The first sign of the condition is a tingling sensation in the affected area, followed by pain and then a rash. Not everyone will experience these prodromal symptoms. 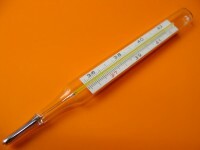 In particular, a high temperature is uncommon. Along with the early symptoms above, people with shingles experience a localised ‘band’ of pain in the affected area. The pain can be a constant, dull or burning sensation and its intensity can vary from mild to severe. You may have sharp stabbing pains from time to time and the affected area of skin will usually be tender. Pain is less common in young, healthy people and rare in children. It can last for more than a week before the rash begins. The shingles rash usually follows several days after the start of the pain. The rash appears on one side of your body and develops on the area of skin related to the affected nerve. Initially, the shingles rash appears as red blotches on your skin, before quickly developing into itchy blisters similar in appearance to chickenpox. New blisters may appear for up to a week, but about three days after appearing they become yellowish in colour, flatten and dry out. Finally, scabs form where the blisters were, which may leave some slight scarring. It usually takes two to four weeks for the rash to completely heal. The symptoms of shingles are often mild. However, see your licensed health practitioner as soon as possible if you recognise the symptoms. Early treatment may help reduce the severity of your symptoms and risk of developing complications. See your licensed health professional if you develop symptoms of shingles and are pregnant or have a weakened immune system (the body’s natural defence system). Shingles is caused by the reactivation of the varicella-zoster virus, which is the virus that causes chickenpox (a highly infectious condition most people have during childhood). After you have had chickenpox, the varicella-zoster virus lies dormant (inactive) inside your body. It can later be reactivated and cause shingles. Being older. As you age, your immunity may also decrease. Shingles most commonly occurs in people over 80 years old. Physical and emotional stress. The chemicals released by your body when you are stressed can prevent your immune system from working properly. Having HIV and ADS. People with HIV may be up to 25 times more likely to get shingles than the rest of the population. It is not possible to catch shingles from someone else with the condition. However, it is possible for someone who has never had chickenpox to catch chickenpox from someone with shingles. In the UK, chickenpox is so common during childhood that 9 out of 10 adults have had it, so will not be affected. If you have shingles, you are contagious until the last blister has scabbed over. This will usually occur five to seven days after your symptoms started. This will help prevent the virus being passed on to someone who has not had chickenpox. Once your blisters have dried and scabbed over, you are no longer contagious and will not need to avoid anyone. Shingles can also be due to pleurisy, Bell`s palsy, herpes simplex, appendicitis, colic, gallstones, colitis, trigeminal neuralgia, or contact dermatitis. All of these conditions must be screened for and, if present, properly treated to provide lasting relief from shingles. Caution: Shingles eruptions that last longer than two weeks can be a sign of underlying immune problems or cancer (particularly Hodgkin`s disease), and therefore require immediate attention. In addition, see an ophthalmologist immediately if herpes zoster occurs near the eyes or on the forehead, as it can cause blindness. At the first sign of outbreak, apply zinc oxide along the path of the affected nerve area two to three times daily. Other helpful nutrients include L-lysine, vitamin B-complex, vitamin B12, BHT, calcium, and high doses of vitamin C plus bioflavonoids. Topical application of vitamin E can also be helpful. Snake vaccine made from venom has also been known to take away the pain of shingles. Flaxseed oil supplies essential fatty acids that are important for a healthy nervous system and for healthy skin. Take 1 tablespoon twice a day. Selenium is an antioxidant that works synergistically with vitamin E. Take 100 micrograms a day. Acidophilus is important in maintaining the health of the digestive tract by encouraging the growth of “friendly” bacteria that maintain the strength and integrity of the intestinal wall. Take 1/2 teaspoon of acidophilus powder dissolved in 2 ounces of warm water twice a day, between meals. Natural Treatments for Genital Herpes, Cold Sores and Shingles: A Review of the Scientific and Medical Literature, by John Hill; How to Cure Shingles in 3 Days, Bob Carlton.